This phenomenal novel is the first in a trilogy packed with shooting contests, train robberies, festivals under the stars, powerful Djinni magic and an electrifying love story. Alwyn Hamilton was born in Toronto and spent her early years bouncing between Europe and Canada until her parents settled in France. She left France for Cambridge University to study History of Art at King's College, focusing in on painting in the French Revolution. She then moved to London where she now lives and put her degree to use working for an auction house. 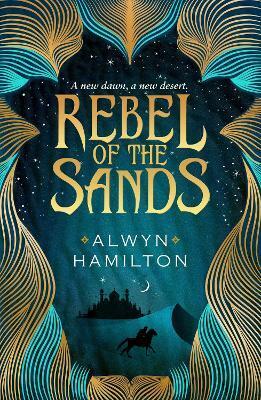 REBEL OF THE SANDS is her first novel.